There’s something about Australia’s North West that gets under your skin. It could be the aqua blue waters that manifest some of the world’s most exquisite pearls. Or the endless expanses of wilderness that are virtually untouched. It’s a region that has so much to offer, it’s near impossible to do it all in one trip but here we share some highlights for the ultimate adventure to Australia’s North West. Broome is the western gateway to The Kimberley and is home to the infamous Cable Beach and natural phenomena Staircase to the Moon. Known as the 'pearl of the north’, Broome produces the exquisite South Sea pearls - which are some of the largest and most coveted commercially harvested cultured pearls in the world. A quick stroll through Broome’s city centre will have you passing by pearl boutiques from Paspaley, Allure and Linney’s to name a few. There are several resorts, bed and breakfasts and hotels in Broome to suit families, couples and campers. Cable Beach Club Resort and Spa is a sprawling luxury resort and is the only property in Broome with a beachfront location. Accommodation ranges from romantic suites to family-friendly villas, all with pool access, parking and a short walk to Cable Beach. There’s also a great bar and Italian restaurant on site. 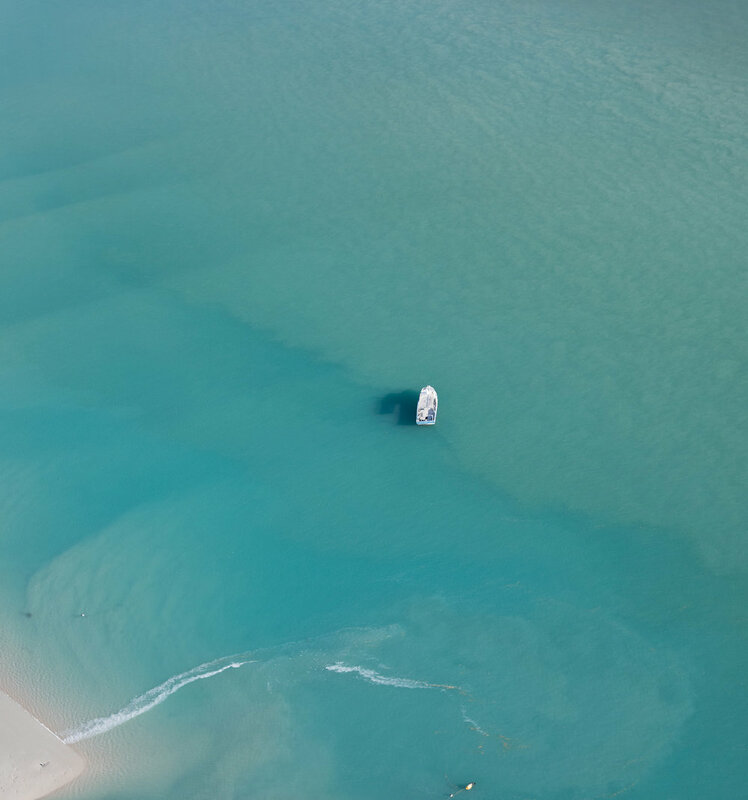 Helicopter Ride - A 30 minute scenic flight over Broome is one of the best ways to get an overview of the area. Cruising over the seemingly endless Cable Beach, you circle over the aqua blue waters of Willie Creek Pearl Farm before heading to the rich, rusty-red cliff line of Gantheaume Point. Horizontal Falls - One of the region’s most spectacular natural phenomena’s, the Horiztonal Falls can only be accessed by water. The best way to see them is a half day tour which starts with a scenic seaplane flight over The Kimberley wilderness before gliding in to land at an exclusive over-water hotel and activity centre. From there you will hop on a boat and ride through the horizontal falls at thrilling speeds. You can also option for a helicopter ride to see the phenomena from above. Once back on the floating hotel you will be served breakfast and given an opportunity to swim with sharks in a cage. A exceptional experience and absolute highlight during our time in Broome. Tour with a local Yawuru guide - Immerse yourself in the local culture and get a greater understanding of the Yawuru people of the region with Bart Pigram’s tours. Bart is a Yawuru man from the West Kimberley region who has a passion for telling the complete story of life in Broome and draws on knowledge gained from living a saltwater lifestyle as well as professional training as a curator. Bart can take you around town, through the mangroves and from the beach to the bay. Expect to be surprised and fascinated by Bart’s knowledge. The ticketed area of The Floating Lantern event at Shinju Matsuri. Releasing your lantern out to sea at Shinju Matsuri. The asian inspired cuisine at The Aarli. The Aarli - One of our favourites in town. This casual, open-air restaurant serves up asian-fusion dishes, family style. Pork belly with chilli and coriander is perfectly cooked and salt and pepper tofu is crispy on the outside, silken on the inside. The Good Cartel - A brilliant collaborative cafe that offers a drive-through and simple menu with moorish classics. There’s a super foods bowl, brekkie burrito and a great smoothie selection. Good coffee too. Matso’s - This institution could be one of the most remote breweries in Australia. Known for it’s signature mango beer - there’s also a menu with creations such as chilli beer and lychee. Food is mostly pub-grub, fish and chips, steak and salads which are all solid choices. 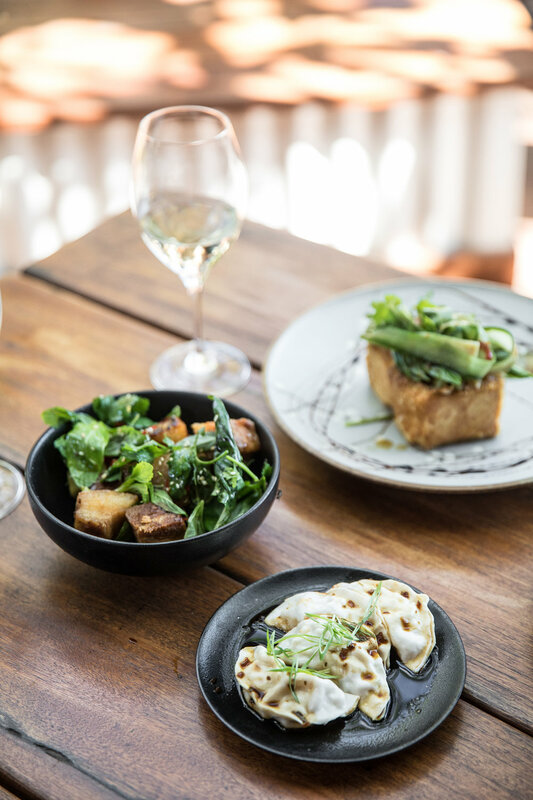 Cichetti Club - Located in the Cable Beach Club Resort and Spa, this Italian inspired restaurant offers small plates that are designed for sharing. Think cauliflower fritters, caprese salad and beef carpaccio to start. You’ll also find some local flavours influencing the menu, like the pearl meat ravioli. Flying in a helicopter over the wilderness of The Kimberley. The dreamy scene at Cable Beach of the Long Table Dinner at Shinju Matsuri. Broome is warm year round, however peak season is from May-October. September is a particularly great time of year to visit as the annual Shinju Matsuri festival takes over Broome with a fabulous schedule of events. Shinju Matsuri (Japanese for “Festival of the Pearl”) originated from three cultural celebrations – Japanese Obon Matsuri, Malaysian Hari Merdeka, Independence Day from British rule in 1957, and the Chinese Hang Seng. Shinju Matsuri revives the excitement and romance of Broome’s early days of being a world-renowned producer of South Sea Pearls when pearlers from all over the world flocked to Broome in the late 1800’s to be a part of this success. 2018 saw celebrity chefs Adam Liaw and Marion Grasby consult over the Shinju Matsuri menus for a variety of ticketed events. One of the most popular is the Pearl Harvest Yum Cha, which offered multiple food stands serving unique dishes such as pulled pork bao, pearl meat fried rice and chicken dumplings. The Floating Lantern experience is an evening that the whole family can enjoy. If you purchase a VIP ticket, there is a sectioned area on the beach with loungers, an open bar and canapés to pass the time. As the sun sets, the crowds wade in to the ocean, decorated lanterns in hand and sets them off to sea. It’s spectacular to see the lanterns glimmer on the water (don’t worry, they are all collected in a net at the end of the night). The stand out event however is the long table dinner which takes place on the last evening of the festival along Cable Beach. Wooden trestle tables, clad with beach-inspired objects of curiosity such as shells, sit under hanging lights. It’s a dreamy evening, watching the sun go down, sipping on signature cocktails and indulging in exquisite dishes from Adam and Marion. Broome International Airport is serviced by many of the major airlines, including Air North, Virgin Australia and Qantas. Schedules vary during peak and off-peak season with direct services from Perth, Melbourne and Sydney. Car hire is recommended with the major operators represented at the airport. Greyhound Australia also currently offers bus rides to and from Broome to Perth and Darwin. We visited in partnership with Tourism Western Australia.